Monarch Air Group provides private air charter in West Jordan, UT. Our clients benefit from top-notch service, unrelenting dedication to safety, wide selection of aircraft, and years of experience in chartering private jets. To obtain a free quote, please use our online quoting tool provided below, or call toll free 1-877-281-3051. Monarch Air Group provides private jet charter flights in and out of West Jordan, Utah, USA. West Jordan is a city in Salt Lake County, in north central Utah. With a population of 103,712 people, it is the fourth most populous city in the state. Companies headquartered in West Jordan are Lynco Sales&Service, Mountain America Credit Union, Cyprus Credit Union, and SME Steel. The most popular tourist attractions include Gardner Village, Tepanyaki Japanese Steakhouse, Bombay House, and some others. The nearest airports are Salt Lake City International Airport (SLC / KSLC), which is located 15 miles from the city center, and Provo Municipal Airport (PVU / KPVU), which is located 37 miles from West Jordan. 6. NPH, Nephi, Nephi, United States. 7. OGD, Municipal, Ogden, United States. 8. 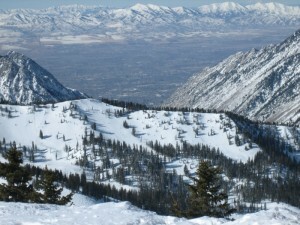 PVU, Provo, Provo, United States. 9. SLC, Salt Lake City International, Salt Lake City, UT, United States. 1. Hampton Inn & Suites Hotel Salt Lake City-West Jordan, 3923 Center Park Drive, West Jordan. 2. Hampton Inn & Suites Hotel Salt Lake City-West Jordan, 3923 Center Park Drive, West Jordan. 3. Hampton Inn & Suites Hotel Salt Lake City-West Jordan, 3923 Center Park Drive, West Jordan. 4. Hampton Inn & Suites Hotel Salt Lake City-West Jordan, 3923 Center Park Drive, West Jordan.